ONTARIO RACING CONSULTATION MEETING TODAY! BREW BY YOU rallied to upend heavily favoured Leighlin Road in race 1, a maiden 2yo filly race for $20,000 claiming. The winner is a Milwaukee Brew filly bred by Liz Roach and Frank Coulater. She was bought at the local yearling sale for about $32,000 last year and races for Ace Racing Stable and Stablesmates. Scott Fairlie trains and Luis Contreras subsituted for Michell Rainford. race 2 – NINETEEN SIXTEEN rolled to an easy win in this split of race 1, taking her maiden in her7th career race for Dura Racing and Mike Doyle, who also trains. This was the 29th win of th year for the Doyle stable. The winner was a weanling purchase from breeder Mark Frostad for about $6,500. She is by Singing Saint out of Fulfilled Promise by Red Ransom. David Moran rode. This split was run in 1:49 for the 1 1/16 miles while the first race went in 1:47.82. The filly was claimed by Spencer Williams. INCREDIBLE DEE, the Best Bet of the day on Thoroughblog, won race 3, a maiden event at 7 furlongs for $32,00 claiming for older horses. The big grey fellow by paddy O’Prado is owned by Derek Chin and trained bu Kevin Attard, who notched his 36th win of the meeting. The winner is an ONtario bred foaled by Paradox Farm and Denny Andrews. Kevin Attard recently won his 300th career race with his previous winner. TEATOE, the Thoroughblog Longshot pick of the day, won race 4, a $10,000 claiming race and was the first winner at the meeting for visiting rider Ismail Mosquiera, The winner, who was 7 to 1, is a Survivalist filly owned by Paul Ryder and trained by Zelko Krcmar. EMINENT FORCE, at 6 to 1, snuck up on favoured Occasional View and won race 5 on the grass at 7 furlongs. The winner won this $40K claiming race in 1:21.41 for an 88 Beyer Figure and he is owned by Goerge Schramm and John Russell. Trained by Mike DePaulko, Eminent Force has won 4 of 8 races this year and three of his last 4 strats. He is yet another winner bred by the red hot Hope Stock Farm (co-breeders with Karen and Mickey Tayor of Seattle Slew fame). SOMEWHERE OUTHERE was gone on the lead in race 6, a maiden allowance for ONtario sired 2yo fillies. The winner is a homevred for Frank DiGiulio Jr. and is a Silent Name filly from Where Oh Where by Where’s the Ring. Eurico da Silva roder for trainer Bob Tiller and her time of 57.84 was good for a 65 Beyer Figure. Race 7 went to MOONLIGHT MALICE, the 4th winner of the meeting and 6th of the year for trainer Jennifer Shafer, who came to Woodbine this year from Alberta. The winner is an Exhi 3yo gelding who won his maiden here for $15,00 in this score, his 10th career start and 5th of the season. Jermaine Bridgmohan rode for Mark Gems INternational Ltd. The time of 1:45.42 was good for a 63 Beyer Figure. Race 8 was a starter allowance for older horses at 1 1/16 miles and the super consistent fellow BADJEROS BOY had a great trip covered up under rafel Hernandez to win in 1:43.68, an 82 Beyer Figure. The winner is a Singing Saint 4yo who has 2 wins in his last 3 races and has won on Tapeta and turf. He was bred by Errol Bailey in Ontario and is owned by Oak Run Racing Inc., trained by George Billers. The final race on a sunny, warm November day was a $10,000 sprint at 6 furlongs for non-winners of 3 and trainer NORM MCKNIGHT, in the midst of a career year, won his 53rd race of the meeting with VILLAGEOFVIBANK. McKnight’s previous best year by wins was 34 in 2014. He is about $100 short of his best career year by earnings which stand at $1,121,071. McKnight won his 400th career race with EYE ON BERLIN on Wed. night. The great mare Bessarabian will be honoured today with the 32nd running of the 7 furlong race named in her honour. 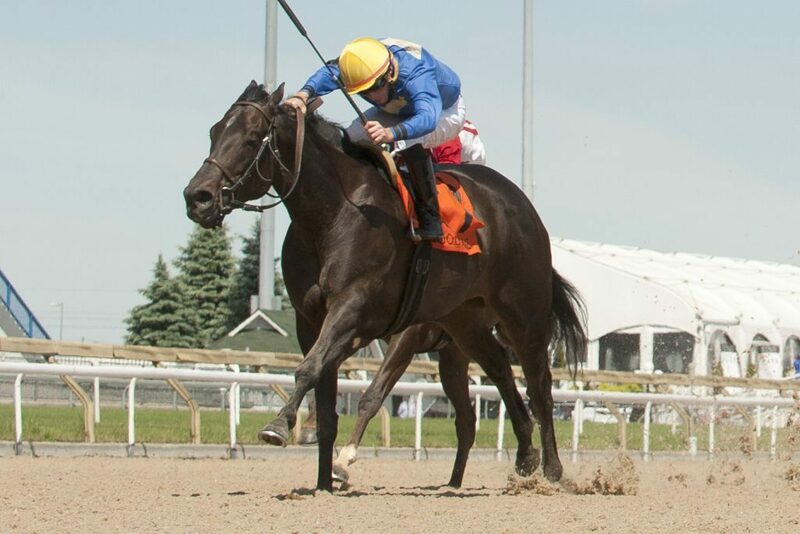 A well-matched field includes SOUTHERN RING, already a graded stakes winner this year when she took the Grade 3 Ontario Fashion, can win the Sovereign award for Champion Female Sprinter should she win today for Sam-Son Farms. MIDNIGHT MILEY won the Grade 3 Seaway and is also a contender for the year end trophy as is RIVER MAID, winner of the Ballade Stakes.